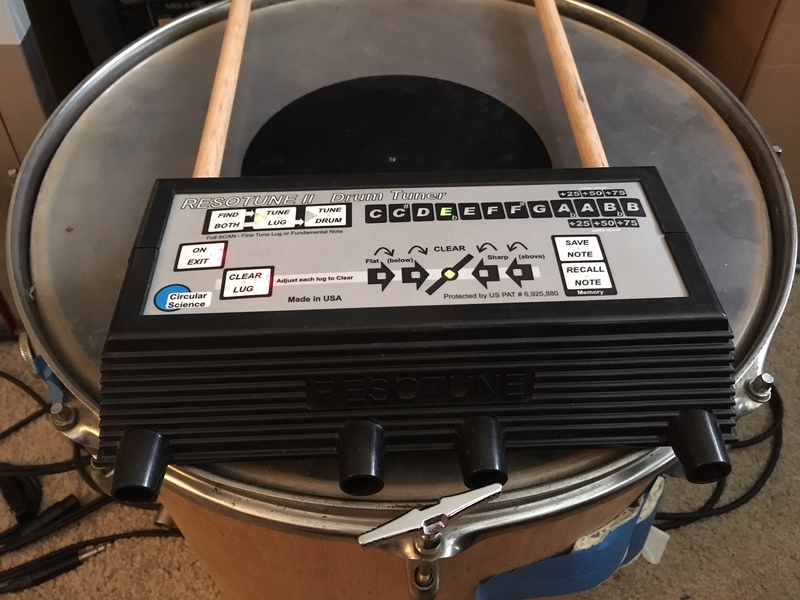 RESOTUNE precisely vibrates the drum heads with internal speakers then measures the actual drum vibrations coming back from the drumhead with a microphone. This technology eliminates numerous errors inherent in other drum tuning systems. The rubber feet on the bottom precisely space the distance of the mic (located between the speakers) from the rim edge for repeatable results between subsequent lug measurements. Besides identifying the two significant lowest pitch head resonances (fundamental displayed in red and 1st overtone in green) by how loud the returning sounds are, RESOTUNE in Clear mode provides a novel new capability that measures the clear quality contribution of each lug’s tension from the returning signal’s time delay (phase shift). By measuring how each individual lug interacts with the whole drumhead vibration we can fine adjust the lug matching between each other lug far more accurately. Adjusting each lug for identical return time signature precisely matches them to each other for optimal tonal purity when played. 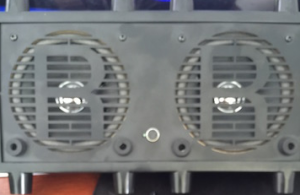 We call this measurement “clear quality” and even show users which direction to turn the lug being measured for optimal clear (green middle LED). This clear measurement is independent of adjusting note pitch, and doesn’t change the pitch of the drumhead. 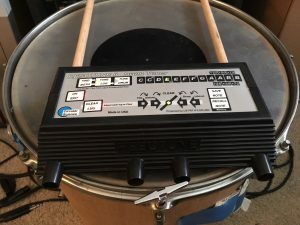 This step is performed after you have already tuned your drum head to a desired note pitch and matches the lugs more precisely to each other for a more pure “clear” drum sound. Both resonant note tuning and lug clearing are important for optimal and repeatable drum sound. Multiple toms in a single kit are routinely spaced apart, tuned to different resonant notes to provide a musical spread when played in sequence. 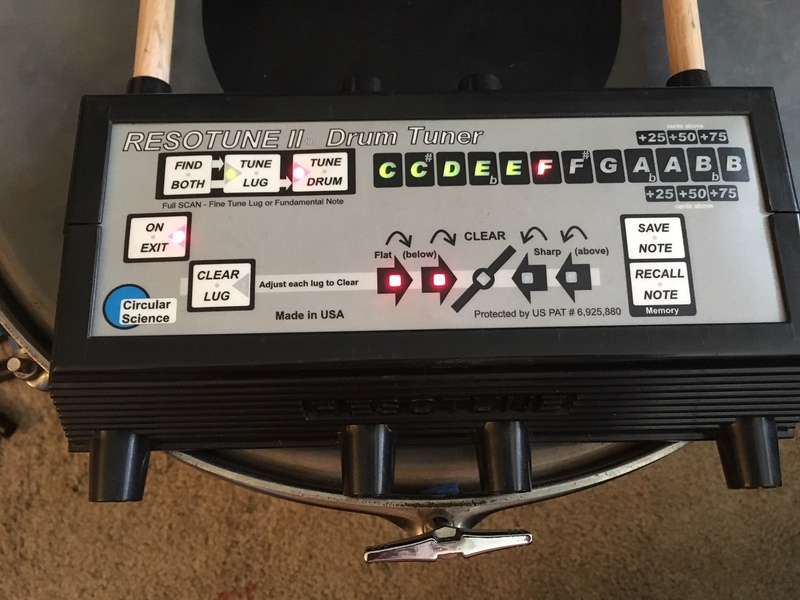 Since every drumhead generates multiple non-harmonically related notes, RESOTUNE II displays both the lowest fundamental “Drum” note (in red), and the higher “Lug” overtone note (in green) so you can dial in one or the other as desired. The bottom (resonant) drumhead can be adjusted to the same (lug) note, or pitched slightly higher/lower than the top (batter) head, which creates a near infinite combination of voicing possibilities. RESOTUNE gives you the capability to very accurately return to “your” preferred voicing. RESOTUNE has two basic modes of operation “tuning” and “clearing”. 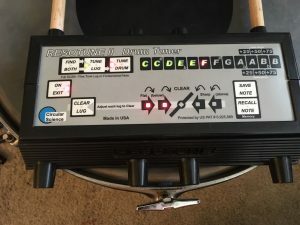 Note tuning modes; Tune Lug, Tune Drum, and Find Both, alternately fine tune the lug resonance mode, fine tunes the drum (fundamental) mode, or identifies the two before fine tuning.